The Magic 8 Ball. Nearly everyone knows this popular fortune-telling toy and has used it to reach into the future, to find the answers to his/her questions. 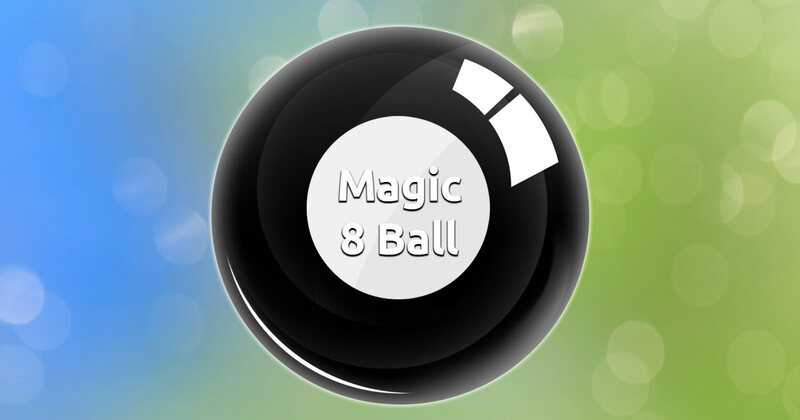 Our online 8 Ball is no different and knows what will be, and is eager to share it with you. It will give you a smart and straightforward advice whenever you need it, without you owning an actual, physical Magic 8 Ball. Now you can also try our Magic Love Ball! Just focus hard on what you need to get guidance for and formulate a question that can be answered with an "Yes" or "No" and click on the image below to get your answer. It's that simple. The Magic 8 Ball will show you the way! Enjoy!